CPA Australia is the body that regulates the CPA designation in Australia. A certain amount of experience and education needs to be met in order to qualify to obtain a Certified Practising Accountant designation. The CPA program involves fourteen education parts. The first eight parts are the foundation. This is like an undergraduate degree. The next six parts are like graduate school. This is post-graduate work. An experience requirement of at least three years is always required to obtain the CPA designation. If you are a Certified Practising Accountant in Australia, you can work in many areas and in many large corporations and small businesses. 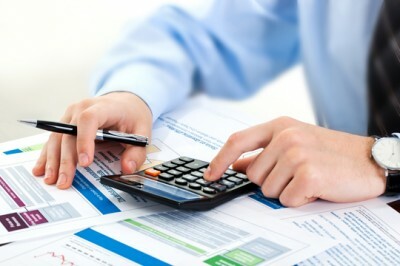 Some areas you can work in are: auditing, budget analysis, management reporting, taxation, and business risk accounting. The Institute of Chartered Accountants in Australia is the body that regulates the CA designation in Australia. To acquire the CPA designation, you must at least have a university degree. You then need to take extra schooling by taking the Chartered Accountants Program that is offered by the institute. Also, you need to have at least three years of experience in order to get the Chartered Accountant designation. These things can all be done at the same time if you would like. It’s possible to gain experience that works towards your goal of three years while studying the post-graduate program for Chartered Accountants. Most Chartered Accountants in Australia work in retail and public practise. The National Institute of Accountants program is given to people that have a university post-graduate qualification such as a Masters in Accounting. The NIA (National Institute of Accountants), compared to the Chartered Accountant or Certified Practising Accountant, is not as well regarded. This is because before 2005, people that had this designation did not need a university degree; they only needed an advanced diploma. There are two designations that are given by the National Institute of Accountants. There is the (MNIA) Member of National Institute of Accountants. There is also the (PNA) Professional National Accountant. The National Institute of Accountants members usually work in industry and business through all of Australia. They work in many top accounting firms, in business, in public practise, and in industry. They hold job titles such as Commercial Manager, CFO, and Finance Manager.